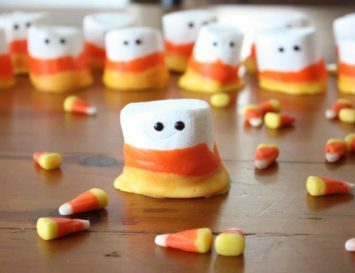 I don’t know about you, but after indulging in sweet treats and cocktails over the holidays, by New Year’s Day I’m ready to make some serious changes in my eating and drinking habits. Yep, that’s right – I’m talking about a detox diet. And I’m starting one right now. 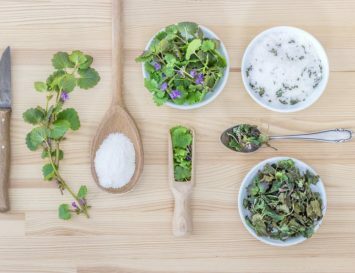 But what is a ‘detox diet’, you ask? Well, great question. It can be defined in different ways, but for the sake of this article, it’s basically one that shuns the typical ‘toxic’ foods we all eat: sugar, salt, fried foods, white flour, red meat, dairy, alcohol, and artificial ingredients of any kind. These foods can irritate your gut, strain your liver, lower your immunity and make your body feel sluggish in general. Time to clean up, especially in winter, when your body in need of heightened defences. 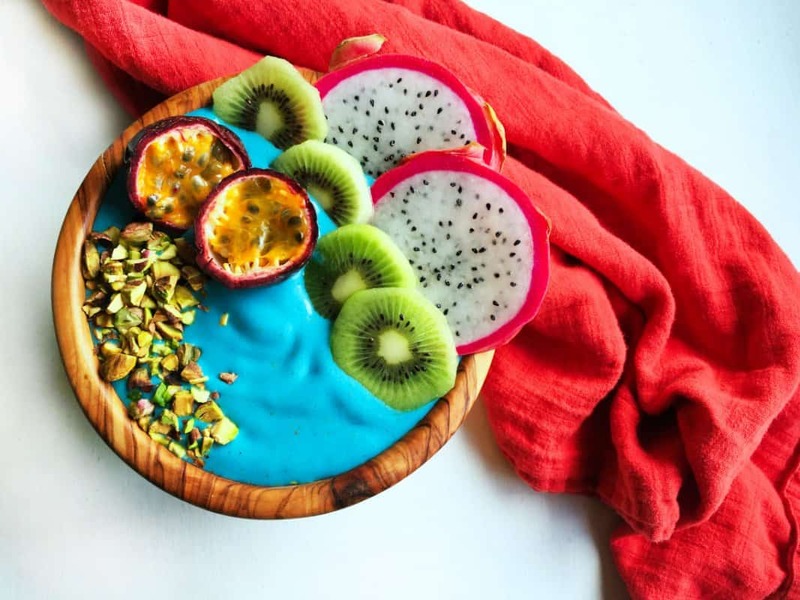 Many also argue that it’s best to do a cleanse with liquid recipes for a vegan detox diet – and it’s tastier than you think, because by ‘liquid’, we mean not only smoothies and juices, but also chia puddings, smoothie bowls and soups, too! All are full of plant based goodness, and are super-easy to digest, too. 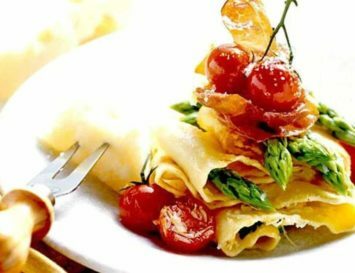 Why not try living on these recipes for a day, three days, or even longer? 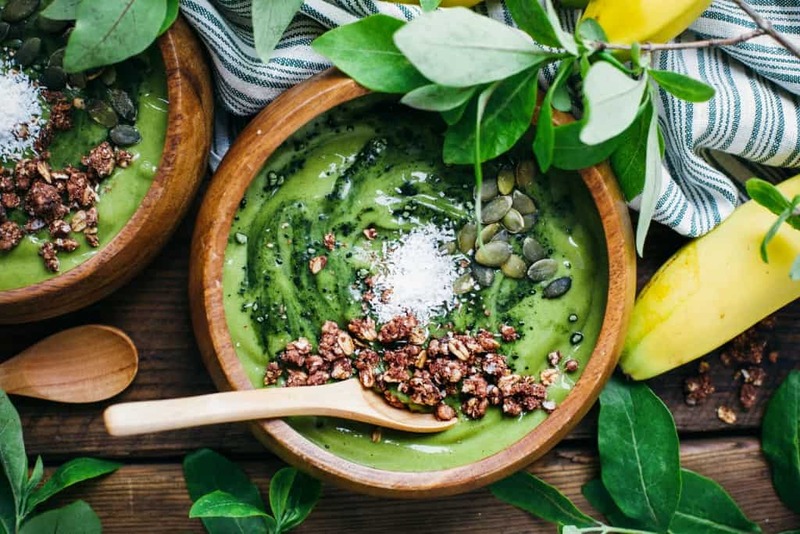 This kind of detox will actually energise you: you’re using less energy to digest, and you’re infusing your body with a load of fibre and nutrients. Here’s to your health – a great new you and a great new year! We all know by now that hydration is crucial for great skin and energy. When you wake up tired, before reaching for the caffeine, try and drink a glass of water and see if it perks you up – after sleeping when our bodies ‘fast’ we need to replenish our water supply first thing in the morning and some fresh, fruity water is a great way to start the day feeling awake and ready to go – but of course, you can (and should!) sip this all day long, too. Sometimes, it’s not just the caffeine we crave from our morning latte -it’s the rich creaminess. And this recipe has it in spades. It’s super simple to make, and even better, it’s super healthy, as turmeric not only detoxes the blood, but reduces inflammation in the body, too. 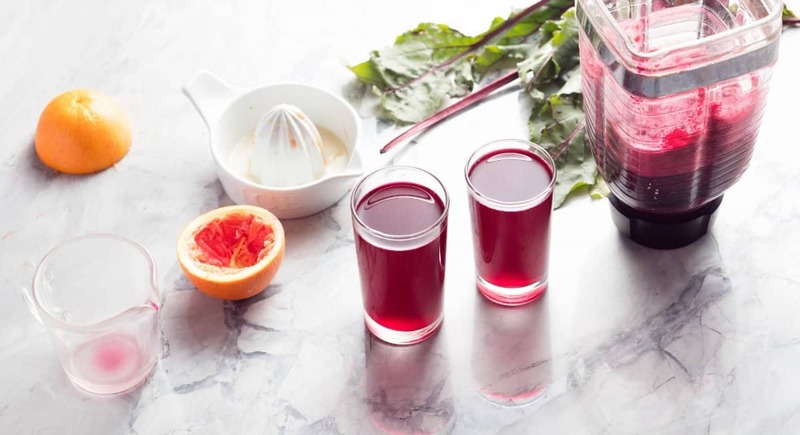 This is one juice you won’t need a fancy blender to make – you can make this beautiful beet juice with a blender and some cheesecloth. And it’s super detoxifying as well as being really pretty. Beetroot is great for our liver, and works to filter out all those horrid toxins and help the liver to cleanse itself. Some aren’t too enamoured with the taste of beets, but don’t worry about this tasting too earthy – the blood oranges and pomegranate here add a little variety and sweetness and you can add water or a bit of apple juice to suit your taste preference. Just seeing a green juice makes me feel better. After a month of cocktails and rich food, my body is crying out for some serious nutrients, and nothing feels better than drinking a green juice. You can literally feel the goodness just flooding through your body with every sip. This concoction is sweet from the apple and super green from spinach and burdock root, whereas the addition of ginger gives a slight spicy edge. 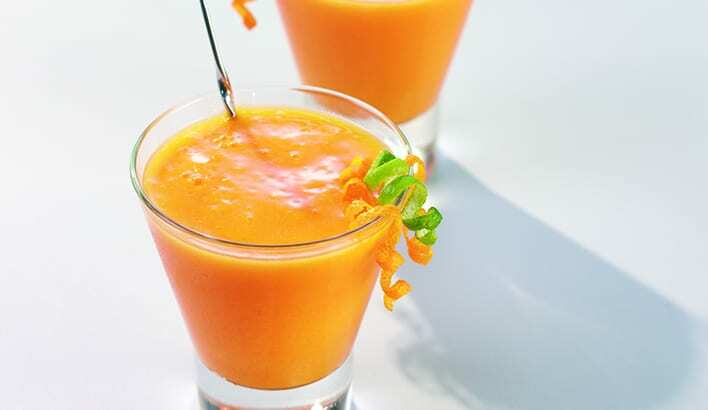 This smoothie looks like sunshine in a glass, am I right? 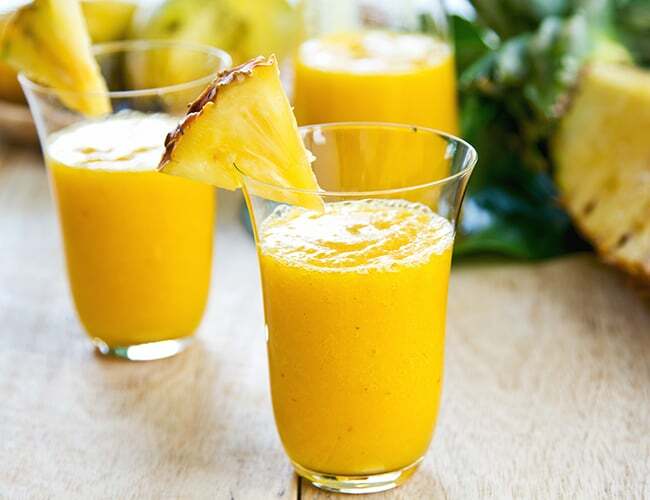 That bright, vibrant yellow just has you feeling great before you’ve even sipped on this. And the best part is that it’s packed full of greens, but the pineapple hides it. This recipe includes Greek yogurt, but to detox and make it vegan, you can easily switch this for either soy or coconut yogurt. This smoothie will have you well and truly ready to take on the day ahead of you, and it’s flexible: if you’re getting back into the gym, for example, why not throw in a scoop or vegan protein powder? If not, you could always add some soy or coconut yogurt to make it a little more filling and nutritious. This recipe just goes to show how easy it is to throw together a smoothie. Even if you’re limited for time, you can make this super quick. 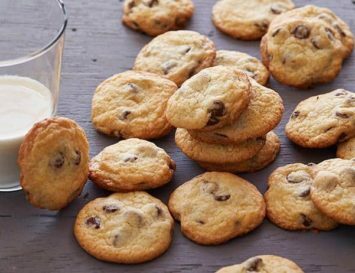 And with just four ingredients, it won’t take long until you’re sipping on a glass of goodness. So, what goes into it? Kale, mango, orange juice with a little sprig of mint for a fresh twist. Because sometimes we just need some chocolate – and when it’s healthy dark choco, we don’t need to feel guilty – it’s good for you! 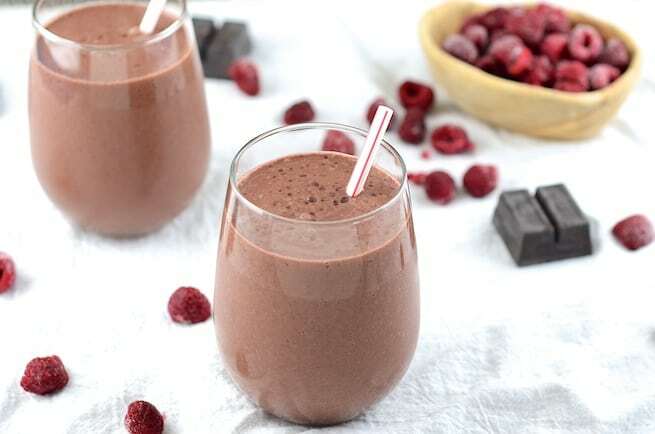 This is another super easy recipe; just raspberries, almond milk and grated dark chocolate. If you don’t any have chocolate on hand you can simply use cacao powder, packing this full of antioxidants and a superfood boost! How magical does this smoothie bowl look? I know what you’re thinking: that blue certainly doesn’t look natural. 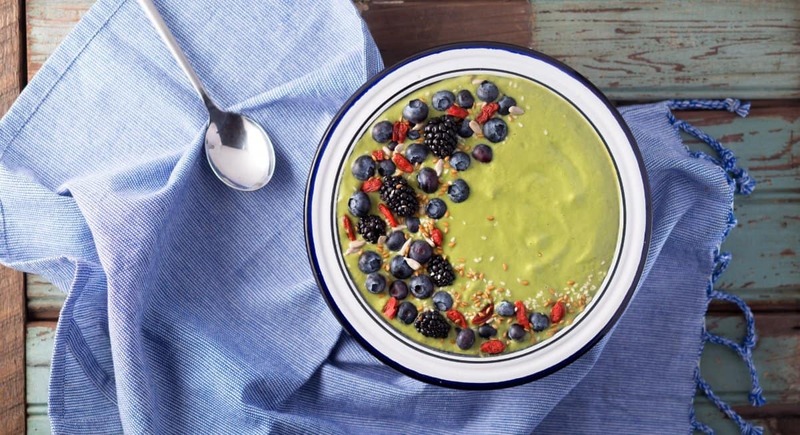 But never fear: this smoothie bowl 100% clean, and that brilliant shade of Smurf blue comes from the spirulina. Who couldn’t be happy eating food this vibrant and delicious? I think we all need a fail-safe go-to smoothie recipe in our repertoire, and if you don’t already have one then you should write this one down. 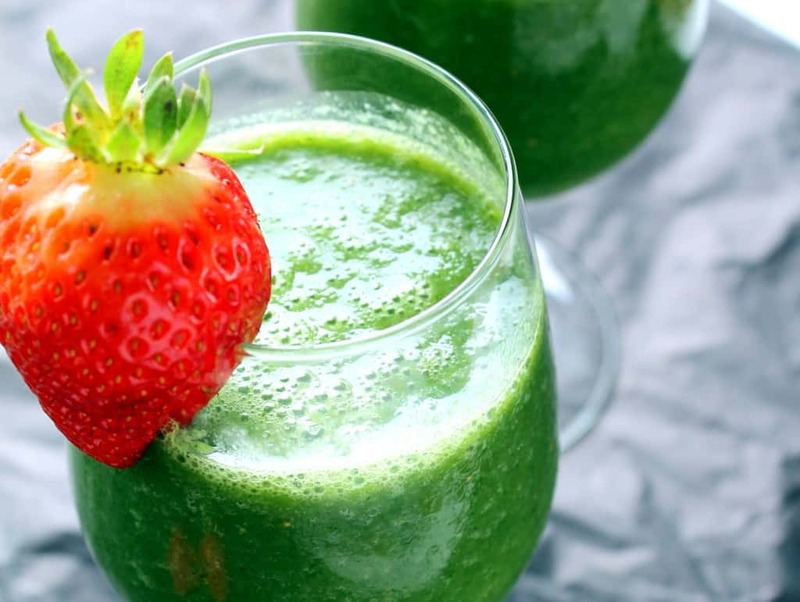 It contains an abundance of greens from the kale and spinach and that creamy texture comes from the avocado, which also gives this smoothie a boost of healthy fatty acids. But if you think you’ll be eating a blended salad, fear not, lovelies – there are sweet strawberries and bananas blended in as well making this super thick and deliciously creamy. I like to eat pretty food. 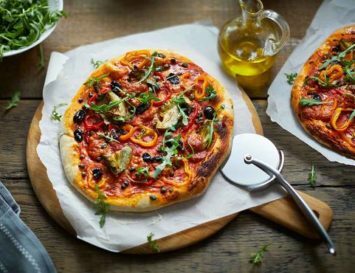 When food looks good, you just enjoy it all the more, don’t you think? When I see a smoothie this bright I just know that there are lots of berries mixed into it, and the brilliant thing about using them as a base is that if you don’t have fresh ones on hand – just throw in some frozen berries instead. The creaminess comes from both the coconut milk and banana. Toppings? 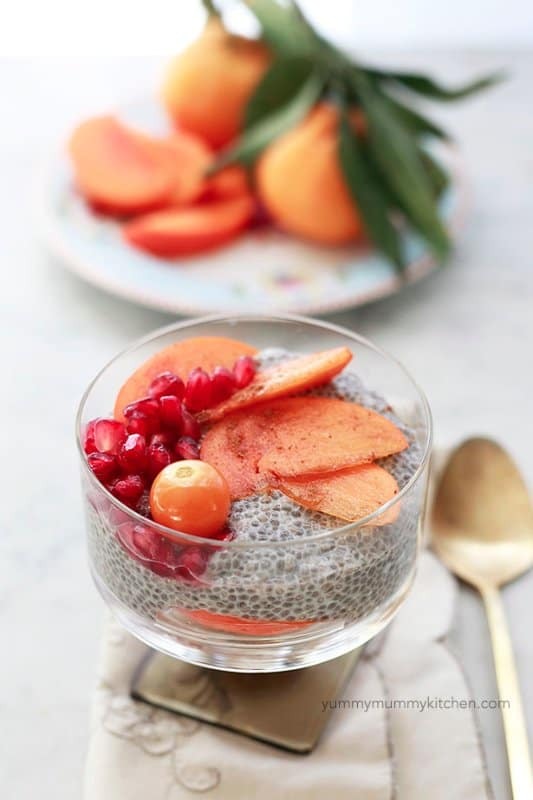 Chia seeds and extra berries are always a winner but I’d also add some coconut slices, chopped nuts and granola. 1 to 3. 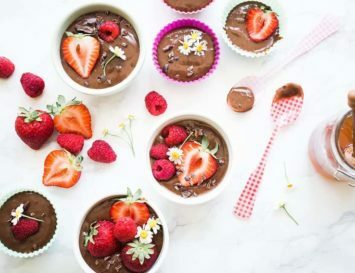 That’s all you need to know in terms of how to make a great chia seed pudding – just add 3T of chia seeds to 1c of almond, soya or coconut milk to create the perfect chia pudding base. From there, you can add whatever you like: berries, banana slices, pureed fruit, cereals, seeds, nuts, you name it. Let me show you how to get your greens in a more savoury way. You can use spinach if kale isn’t to hand – in fact, any dark, leafy green will do. This soup is rich and creamy, thanks to the coconut milk. You could even puree some cashew nuts and throw them in as well. The best part? Garnishing the top with crunchy toppings and drizzling it with coconut milk to give this soup some textural variety. Broth is great for keeping our guts nice and healthy. And whilst many are under the illusion that only bone broth gives our body goodness, it’s simply not true – miso and other vegan options do the trick as well. If you have any food intolerances or IBS, this will contribute to healing your stomach lining and providing you with plentiful vitamins and minerals. Make this broth and sip on it in front of a movie and let it works its magic! This healthy turmeric broth is a real superstar. 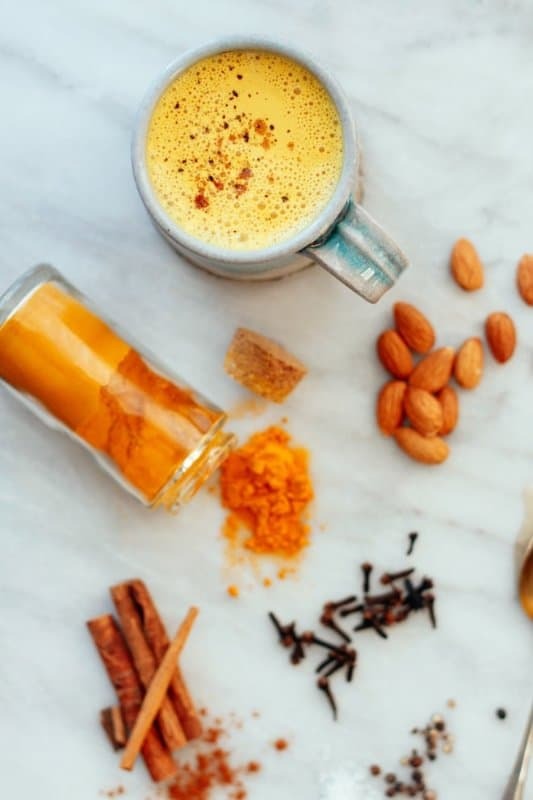 Not only is turmeric super great for cleansing the body and boosting immunity, but it’s also packed with powerful antioxidants, which is great news for giving a little TLC back to our livers. Make this broth as the base of this recipe, and then throw in whichever ingredients tickle your pickle, but I highly recommend some greens like kale and some legumes like white beans. Not only does this soup look warm and inviting, it’s the perfect go-to soup to help detox the sins of the holidays away from your body. This sweet potato based soup is packed with vitamin A and fiber and the red lentils and crunchy nut toppings bulk it up so it won’t feel like you’re drinking your dinner as opposed to eating something substantial. This cleansing soup will surely put a spring back into your step. This soup is packed full of nutrition with a range of different textures, from the crunchy cauliflower and kale to the creamy white beans, which also give it a protein hit. Shirataki noodles have been added to this but you can feel free to add whichever rice or whole wheat noodles you fancy – or even try courgette noodles. Soups are packed with so many beneficial and nutritious ingredients, and of course it’s a bonus that it will keep you warm against the cold weather. The veggies here are slowly simmered over a low heat maintaining their nutrition, which your body will more easily digest when eating. The roasted carrots are mixed with garlic and then spiced with a little ginger. And that delicious, bright colour? Turmeric, once again! In fact, all the spices in this one-bowl wonder will seriously boost your immunity. Goodbye, winter colds and flu! Feeling like you need something a bit more substantial on your detox? This soup is super packed with filling, protein rich quinoa. 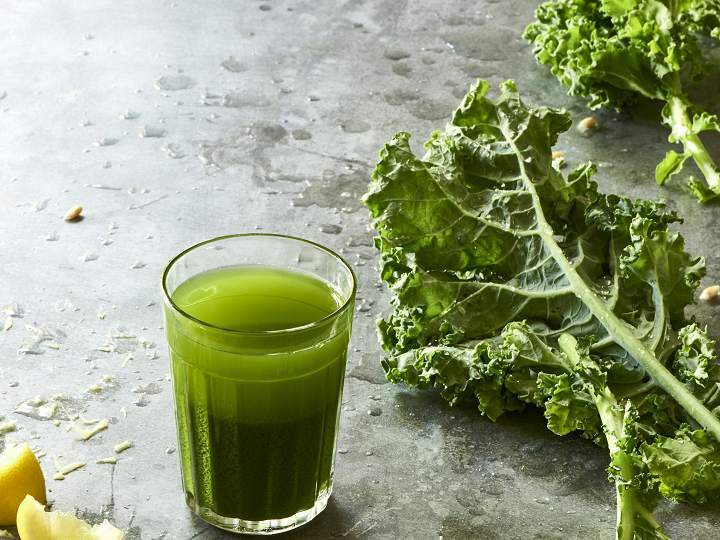 You’ll hardly feel like you’re on a cleanse! All you are going to need to make this easy recipe is some vegetable oil, an onion, some garlic cloves, a potato, peas and some vegetable stock (or even water will work just fine). If you want to enhance the soup and its freshness, add some fresh herbs, like parsley and extra-detoxing cilantro. Can you believe that with only a few simple ingredients you can make a complex tasting and satisfying soup? One that is also good for your body? Well, here it is. Vegan, gluten free, and very detoxing.